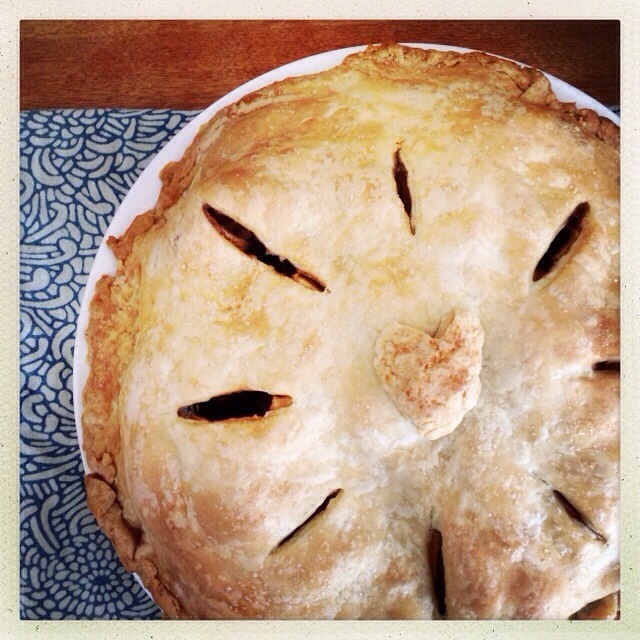 Apple pie for the Thanksgiving family dinner. 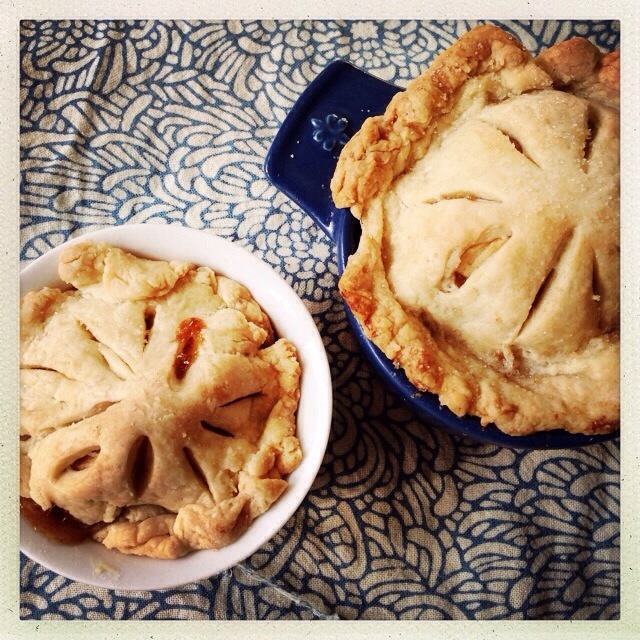 Mini apple pies for the next day. 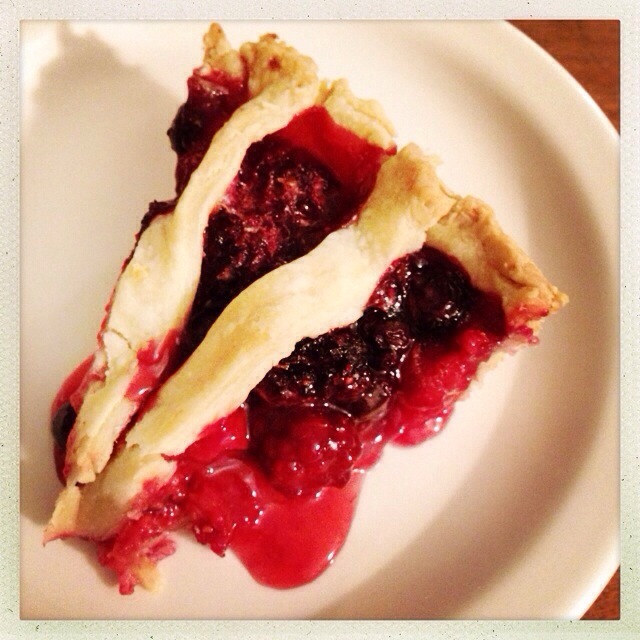 Triple berry pie for the day before — because the berries at the Santa Monica Farmers’ Market looked so darn good and the feast should really start the day before….